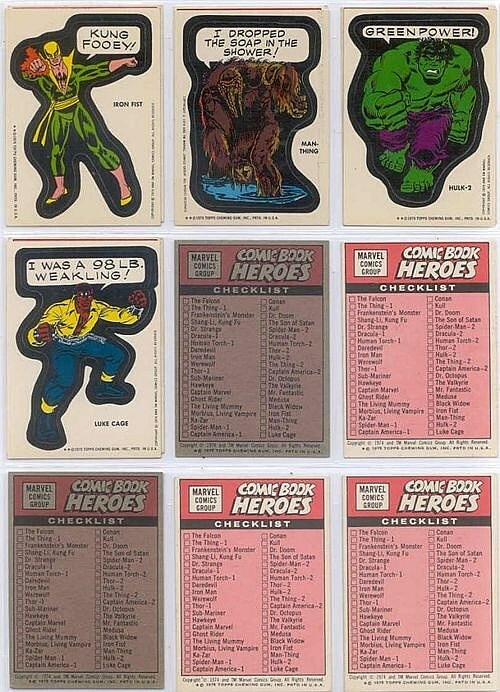 Marvel Comics put out some pretty wacky things in the 1970s -- as we learned a while back from that blacklight poster -- but the series of "Comic Book Heroes" stickers released through Topps in 1974 are certainly up there on the list. 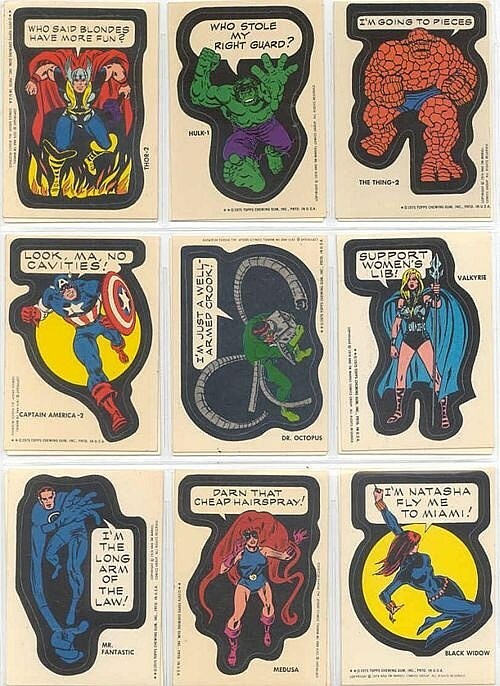 Originally sold in packs along with bubble gum, the stickers are most notable for their bizarro captions that range from blindingly simplistic puns to strange, dream-logic non-sequiturs, and collectively the series seems like some sort of proto-Photoshop job by a letterer who was tripping all kinds of balls. 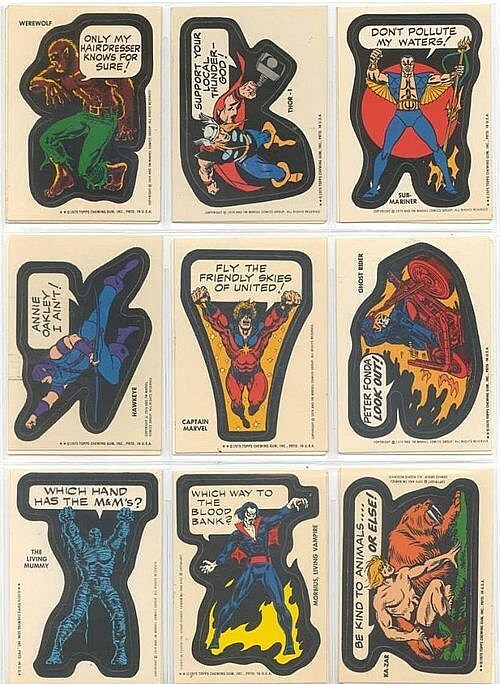 I don't know why the Living Mummy is demanding that I guess which of his hands contains M&M, or why Captain America is boldly advertising his dental health. 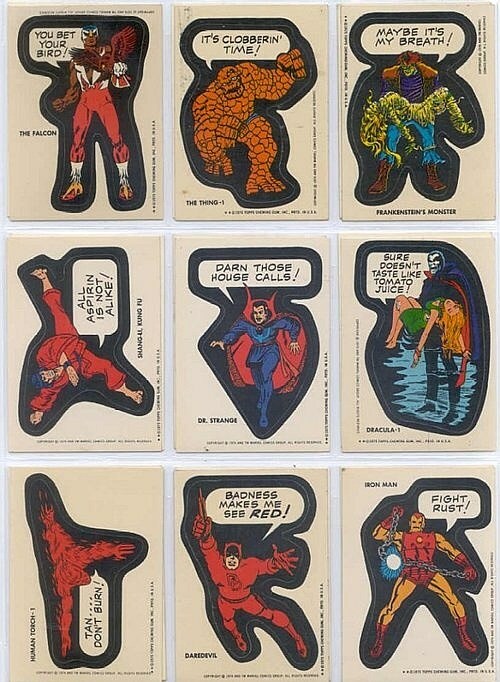 Or why Man-Thing is frankly making a very suggestive comment about prison life, but I don't care! Because I'm just glad they are. 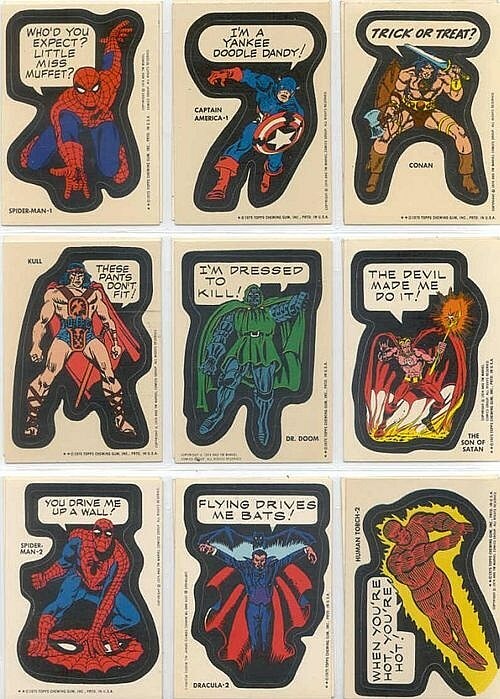 See the rest of the series after the jump.